Home / Projects / Together We Are KeepOlim! KeepOlim (RA 580613610) is a registered non-profit organization, authorized by the Israeli Corporations Authority and the Ministry of Justice. Last month we received our Nihul Takhin for 2019 – from the government which will allow us to receive grants and government funds. KeepOlim is a post Aliyah non-profit for All Olim that provides vital programs, services, advocacy and support. The purpose of KeepOlim is to empower, inspire and support Olim to help them integrate successfully to keep them in Israel. What started as a Facebook group Keep Olim in Israel Movement 3 ½ years ago to scream about the terrible situation of many Olim and watching Olim leave Israel by the thousands, has now grown rapidly into a community and non-profit of over 40,000 Olim from over 100 countries from all different backgrounds, with one simple goal- to keep our Olim in Israel. Over 40% of KeepOlim is religious and over 30% is Russian speaking. Almost the entire community of Bnei Menashe’s from India are part of our community and one of our Board Members, Jessica Thangjom is from this special community. There has never before been an organization whose sole purpose is to unite and assist all Olim from around the world to stay in Israel. We are creating a post-Aliyah support system to help successfully build their lives in Israel. With this support, many Olim will be able to stay in Israel and overcome their struggles. Many Olim are crying out for help! KeepOlim is here to answer their cry! KeepOlim is building a support system for all Olim in their time of need! We have gotten 5 homeless Olim off the streets and put a roof over their heads. We have gotten many hungry Olim food, help with their issues at Misrad Paneem, at Misrad Klita & Integration. We are a shoulder for them to cry on and encourage them. Last year we received over 70 calls alone of suicidal Olim who contacted us via Facebook. KeepOlim receives no government assistance or grants and we rely solely on the support of donors. We have a staff of 1 person the CEO who gets a small salary and has no office. We are simply overwhelmed working on a shoe string budget. So much money is spent on bringing Olim here but sadly very little is spent on keeping them here. Over 40% of the recent French Olim have left the country, 35% of the Russian Olim have left and over ½ the Anglo Olim this according to private conversations with Aliyah officials. Over 240 of my personal friends and acquaintances have in the four years since my Aliyah. KeepOlim is building the foundation of post-Aliyah programs and services for all Olim. Provides free legal services for Olim during their first year in Israel. For many Olim, signing contracts for apartments, jobs or services in Hebrew can be frightening experience. Many Olim get into trouble and in many cases are ripped off when they sign contracts without fully understanding them. Over 1,000 Olim have been helped by our team of lawyers, who volunteer to fight for Olim. It’s hard enough being a new immigrant to Israel but for many Olim with no family in Israel the holidays can be a time of extra stress with the feeling of loneliness and nowhere to celebrate. That’s why we created “No Oleh Alone” for Rosh Hashanah and Pesach, where Olim are personally placed with warm embracing Israeli hosts families. 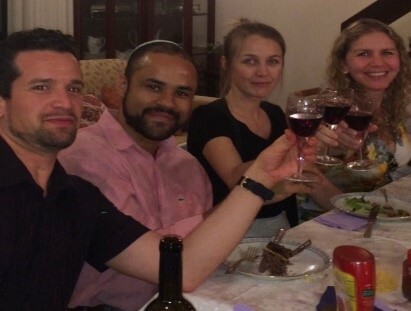 From ultra-Orthodox Chasidim to totally secular vegetarian celebrations we have placed over 1200 Olim in this program which has developed friendships for many of the participants. 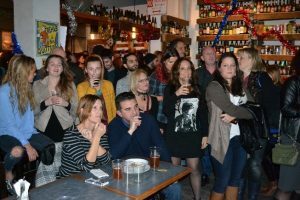 About 40% of the participants are Russian/Ukrainian Olim, and for about 30% of them this was their first time celebrating any Jewish holidays. Imagine being alone and sick in the hospital in Israel. No family or friends around, not understanding Hebrew. It can be a very scary time, so that’s why when Olim are sick they turn to the volunteers of KeepOlim Bikur Cholim Program to keep them company and cheer them up. Led by Program Director Joan Berman Shrensky, our nearly 300 volunteers are fulfilling the mitzvah of visiting and helping the sick all over the country, accompanying them to doctors and even cooking for them with love and care. Hundreds of Olim have been helped in their time of need through our amazing volunteers. We have helped hundreds of Olim rewrite and tailor their resumes for the Israeli job market and in some cases found employment for them! Ivan Lurie‎ -Thanks to KeepOlim who not only fixed and rewrote my resume for free but also thru their contacts got me a job interview at Payoneer. They called me today to say that I’d be a great addition to the team! Thank you so much KeepOlim!!! Denis Egorov -“I would like to say a great thanks to KeepOlim and Liami personally for supporting and keeping me up when i was about to give up. I am here for 2.5 months. Liami helped A LOT with my CV by advising me on the phone and through e-mail correspondence. He also kept saying i would succeed here and there was no time to be negative. And you know what: Liami, you are right! I have found a job i was thinking of. Now i am very happy. This is vitally important to me. Live long, KeepOlim. You help us to believe! 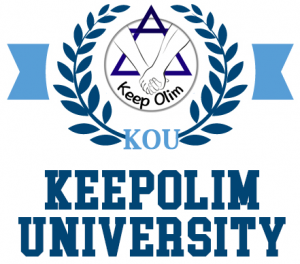 After arriving in Israel, many Olim need help in finding their career path and a new direction in life as well as overcoming their obstacles, so we created KeepOlim University. Our courses are designed to inspire, motivate and empower Olim and to give them the tools they need to succeed in all facets of their lives. Coming to a new country with a new language and cultures many Olim simply do not know their rights when signing contracts for an apartment or services, their rights in their workplace and the rights that they are entitled to as Israelis. Many Olim get taken advantage because of their lack of knowledge in these areas. We also have workshops on starting a business in Israel, “Accelerating Your Career in Israel” and many more. All these workshops are free to Olim. 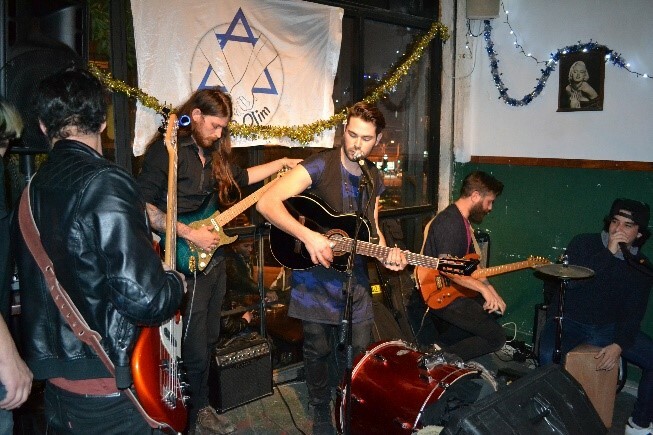 KeepOlim holds many events and parties so Olim can meet each other, make friends and connections. Our events reflect the diversity of KeepOlim with Olim from every country, as well as secular to orthodox coming together to foster a sense of community for the 42,000 Olim in our Facebook group. KeepOlim fights for the rights of all Olim in the Knesset. In July 2017, we successfully advocated for a change in the law to enable all Olim to get their drivers licenses converted to Israeli ones. Now any Oleh who has been driving 5 years or more and has lived in Israel for less than 5 years may simply convert their drivers licenses at the Driving License Bureau. We established the first non-political Lobby (Shtula) in the Knesset to advocate on behalf of All Olim. 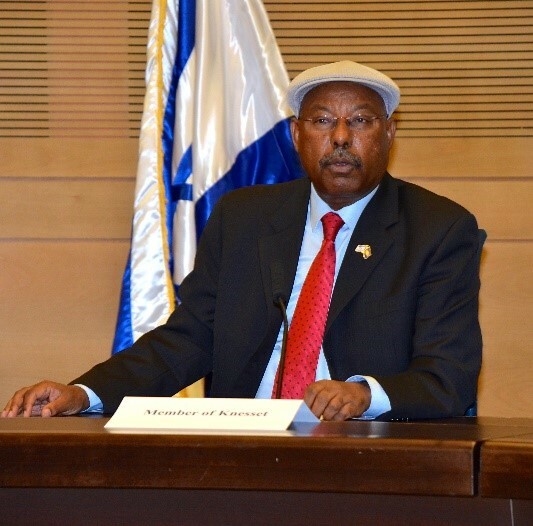 The Lobby is chaired by MK Ksenia Svetlova and MK Dr. Avraham Neguise both immigrants themselves. 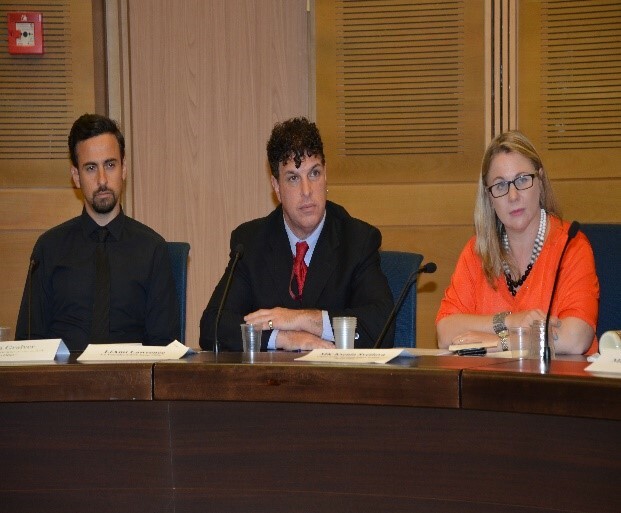 KeepOlim representatives regularly speak in the Knesset meetings and hearings to help all of our Olim. 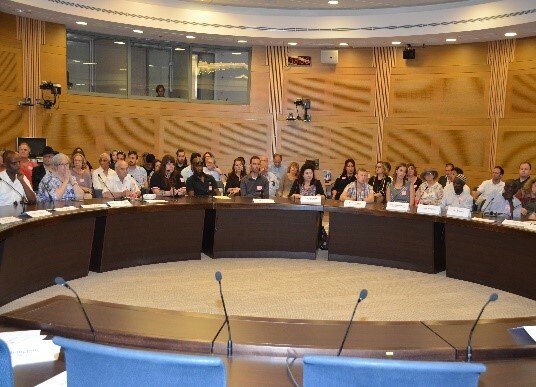 On July 9th, 2018 our Lobby had a very special debut meeting in the Knesset with over 150 KeepOlim supporters as well as many Knesset Members from different political parties coming together to discuss the many issues concerning Olim. 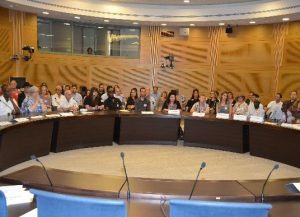 (a buddy program pairing native Israelis with new Olim) Every new Oleh will be paired with an Israeli mentor with similar language and interests to navigate him/her through his/her first years in Israel.Our pilot program is premiering this summer together with our partner Taglit Birthright Israel. In our pilot program young Olim will be matched up with similar Israeli buddies who are volunteers for the Birthright trips. Sadly, more than ⅓ of all suicides in Israel are Olim. There is a huge crisis of lack of mental health services for Olim. We have had 9 OD’s and suicides in our group in the last 3 ½ years. All were young Americans and 4 of them were Lone Soldiers after the Army. It is so sad that these Olim who came to Israel to live their dreams were instead eaten up by the land that they so loved. Last year alone over 70 suicidal Olim reached out to KeepOlim via Facebook for help! We gave them a shoulder to cry on and referred them to our volunteer therapists. We even helped put a few in the hospital for treatment. KeepOlim is developing a program to combat depression among Olim. Mental Health care in Israel for Olim in their native languages is completely lacking in Israel. Olim sometimes wait for months to speak to a counselor in their native language through Chupat Cholim. Many times, there is no therapist that speaks their language. Israel’s suicide hotline ERAN only has counselors that speak Arabic and Hebrew providing no help for desperate Olim! Moreover, after terror attacks that happens in Israel here and there, the municipality crisis hotlines don’t give any support in any language besides Hebrew, leaving Olim who needs support more then anyone else -without! Depressed Olim lacking jobs, friends and family quickly lose hope as they have no-where to turn. That is why KeepOlim is developing Low Cost Subsidized Mental Health Services in the Olim’s native language. Our program has over 60 Olim therapists that speak over 12 languages that understand the issues of Olim as they themselves are Olim. Our program is overseen by a committee of volunteer doctors led by Dr. Robert Lubin. The first part of our program is Support Groups. This pilot program that just debuted last month has 13 groups in 3 languages in 5 cities across Israel. Our Support Groups will consist of up to 10 individuals meeting with an experienced Oleh therapist. The support groups meet once a week for 8 weeks and only cost 200 shekels per participant for the 8 sessions. Over ½ the 110 participants in this Pilot Program did not pay the full amount and KeepOlim paid the difference. We are losing money on every group as many Olim that need these services lack the funds. The second part of our program is a Crisis Hotline in over 6 languages that will be staffed by trained volunteers that speak the language of Olim. This is very desperately needed now as we have dealt with 70 calls of suicidal Olim in the last year alone! Many of the calls that we receive are Lone Soldiers that are too scared to talk to their commanders about their mental health as their profiles in the army will go down and their guns may get taken away. The third part of our program will be Low Cost Quality Subsidized Individual Counseling Sessions in the Olim’s native language with experienced qualified therapists. However, there is many times no staff that speaks their language. Many Olim have to wait for months to see a therapist that speaks their language and if they are lucky enough to get one they do not in many cases understand the problems the Olim and dismiss them leading to very serious situations and sadly in some cases death. In KeepOlim’s Program each Oleh will register and have an intake session and be given a number of sessions. Each session will cost around 100 shekels and the patient will pay ½ and KeepOlim will pay ½. If the patient can’t afford it, the sessions will be given on a sliding scale with KeepOlim paying the difference. In most cases KeepOlim will pay almost all of the cost as the Olim that need this the most have no money. KeepOlim is accomplishing what the government and what no one organization has ever done before for all Olim! We are making the impossible happen! We are giving Olim much needed vital programs, services, advocacy and support within a large community! We are doing this on a shoe string budget, with a staff of one paid person the CEO, who is paid a very low salary and no office. We have no administrative support, no secretaries, grant writers etc. and no infrastructure due to a lack of employees as well as a proper office to place our volunteers. To realize the full potential of KeepOlim, which is truly a grass roots organization we desperately need funds. So many millions are spent bringing Olim to Israel but very little is spent keeping them here and sadly more then ½ leave within 5 years. This is a very bad investment! Each Oleh that leaves tells their family and friends not to come! Spending a little bit of money on Keeping Olim here giving them the vital services that they need to succeed here is a great sound investment! If the Olim succeed here, they will tell their family and friends to make Aliyah and lower the cost of the tens of millions spent convincing Jews to come here. People will make Aliyah on their own without the need for convincing. Investing in the Absorption of Olim will make Israel a stronger more prosperous country! Please Donate!! Together We Are KeepOlim! "Keep up the wonderful work that you do. Chag Semeach Pesach !!!!" "It is a great honor to give to the ONE organization that works for the support of Olea on Israel. God bless." "Thank you for supporting Olims." "There is hope. Don’t give in. There is help. Let’s keep together! This is especially for the Lone Soldiers." "Hotline for lone soldiers in distress." "In honor of all that you guys do for Olim in Israel,"
"To Helping the Mental Health Program get up and running in the memory of Alex Sasaki Z"L"
"Shalom from Kamloops, B.C. Canada!" "Thank you LiAmi for all that you do." "With thanks to LiAmi, Tzvika, Joan and the many others who work tirelessly to help us all." "B'kavod Devorah and Aaron Katz, obm"
"for all of your great deeds"
"Keep Olim is so needed - please donate even a small amount! If we all did, Keep Olim could do so much more!!" "Donation of 6 months rent at Urban Place TLV for Keep Olim." "Dedicated to my parents aliyah and continued residence in Israel." "Keep Olim makesa huge difference to the adjustment of new olim. It is an invaluable resource." "In honor and memory of U.S. Army SPC Daniel Agami aka The Hebrew Hammer"
"Thank you for the great work you are doing. I'm grateful." "10 times Chai Shekel in honour of my 35th Aliya anniversary"
"Thank you LiAmi for doing such a great mitzvah for the olim! I'm a soon to be oleh and I'm nervous AF making aliyah but I feel a million times better knowing that there is someone doing all of this for us." "My donations are in honor of my daughter, Hannah, who has lived in Israel over 6 years, was a Lone Soldier,.......I am very proud of her!!!" "Thank you for everything you are doing!" "Just something to start. More to come. Thanks for all you do:)!" "Keep up the good work. Your efforts are appreciated very much." "Kol HaKavod Liami. Please use the word Olim just as it it and not Olims. We live here now. Let’s say it the Israeli way. Thank you for all your hard work." "Liami and Tzvika thank you very much for being there for us whenever we need help. You are angels that make this country a better place..."
"Best of luck. I hope to join all of you someday." "Thank you for all the hard work in making this valuable community service continue." "Kol haKavod to LiAmi & Tzvika and everyone else in Keep Olim who work tirelessly and way above the call of duty to help olim like myself and my daughter to adjust to life in this glorious country. They facilitated our first Pesach seder with a wonderf"
"Kol Hakavod - may you g(r)own from strength to strength." "When I made Aliyah there was no KOIM and what was out there, was insufficient. Having joined KOIM, I feel more and more how terrific they are. It’s a place for Olim to go to for information, help, and company when one is lonely. Just knowing they exist is"
"Good work, LiAmi! Keep strong, Olim!" "Continue fighting for olim, you're doing a great job!" "Thank you, Tzvika, for your help!" "You guys do such amazing work! Please, keep doing what your doing to Keep Olim in Israel with KeepOlim!" "Thank you KOI for all you do." "In memory of Ari Fuld z”l"
"Shana Tova to all the volunteers of this very important organisation which helps Olim"
"Wishing all of you a successful and blessed 5779!" "Keep going with your dream, Mitvah Man!" "In memory- Rena and Alex Vinisky"
"Shanna tova and klitah kala to all"
"A token of appreciation for an invaluable service"
"This donation is in honor of our daughter, Hannah Yael Katz, who moved to Israel 6 years ago and made Aliyah 2.5 years ago." "Thank you, LiAmi and Tzvika." 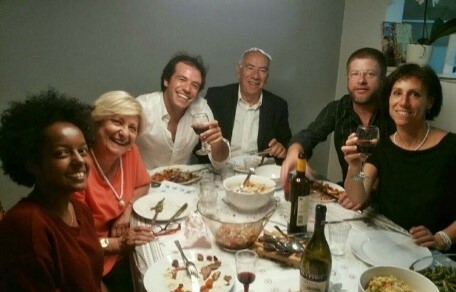 "Shana Tova to all olim!" "Thank you for all Liami and team !!" "I support the efforts of KeepOlim. May Hashem strengthen and recognize all who do so much for this organization"
"Thank you for all that you do for us olim!" "1000 Gracias Liami and Tzvika for all your great work!" "I challenge everyone who has used a Keep Olim service or attended a Keep Olim event to contribute at least $18"
"Dear LiAmi! Thank you for the hard work and G_d bless you for your good heart and fate! See you soon :) Shabbat Shalom Bea"
"In memory of Hunter Grossman." "Thank you for caring for the children of Israel." "Dedicated to our son Aaron"
"Thank you and b'hatzlacha raba in your mission to empower, inspire and support Olim!" "Thank you for an amazing job !!!" "This is a wonderful worthwhile organization! Very important for Israel!" "May Keep Olim in Israel go from strength to strength"
"Liami Proud to be a part of this... Keep it up." "Happy Birthday to my amazing wife!" "Please support this amazing organization with as little or as much as you can and want to donate. Every bit helps." "keep up the good work of Keeping the Olim in Israel"
"Thank you for all your hard work! Thank you for making our lives al much easier with the license conversion law change!" "Kol HaKavod! Keep up the good work =)"
"In Honor of the 70th Birthday of our amazing country! As olim, we should be proud to be Israeli!! Am Yisrael Chai!" "In memory of Pinchas ben Meir Kavitsky"
"Keep up the solid work"
"Your organization is doing amazing & great work & should be supported as much as possible!!!!" "Donate more, give with love!" "For the so needed mental health program for all those struggling." "To KEEPOLIM. You make the World better every day." "To all the people in KEEPOLIM doing our world better everyday." "Much love and blessing.. I believe in the power of us all! :)"
"We olim are absolutely grateful for your assistance to us all and we are very proud of you. A huge thanks." "כל הכבוד אחי! בהצלחה :)"
"I am donating in honor of my daughter, Hannah Yael Katz, who is an olim. So proud of all of you!" "The work you do is integral to Israeli society and everyone should be donating as much as they can." "keep keeping olim in israel :)"
"All I can say is keep up the good and important work." "Kol HaKavod! You guys are amazing!" "This donation is to purchase a kettle to provide coffee in your new premises for any meeting of KOII. You will never have another meeting when you have to buy a coffee from your own pocket. This is a small gesture but you have more than earned this for al"
"You guys are a total blessing to ALL Olim......thank you"
"In honor of all the hard work and hours that the team at Keep Olim have invested on improving the lives of Olim." "In memory of Galia's father, Morris Coppersmith, Moshe ben Yehuda." "In honor of Patritzia Tager"
"It's never enough, but we hope this helps. In honor of Liami." "For all the olim, here's to your success in this land! Thanks to the admins for all your hard work. Blessings!" "KOIM, is a wonderful group, glad to be a part of it...."
"In honor of our first aliyahversary!" "For my Grandmother, who made Aliya at age 85"
"Thank you to everyone working tirelessly to help keep Olim in Israel." "I am donating it to whoever needs it"
"For you work against fraud by phone companies"
"In honour of Joan and Don Shrensky's 50th wedding anniversary"
"Thank you for all you for all you do!!" "Great job! See you soon!" "In memory of Hunter Gross and and supporting Keep Olim Mental Health programme"
"KEEP ON KEEPING UP THE GREAT WORK YOU ARE DOING." "Keep up your important work. Kol hakavod from a recent oleh." "Amazing initiative , thank you for your dedication & service to the Olim community"
"In memory of my parents, Pinchas and Chasta Kavitsky and my mother-in-law, Fradle Gusovsky"
"Thank you for everything you do❤️"
"In memory of my father Sidney Brandt"
"Let's come together to help this great organization, which through supporting Olim, is also playing a crucial role in building this country; our country!" "To Liami, Tzvika, and the entire board of KOI, with great appreciation for all you do." "An excellent work & an excellent cause. בהצלחה!" "Keep up the great work KOIM!" "LiAmi keep up the good work...Kind Regards.....Bernard Hoffman"
"Thank you for doing such a wonderful job. May Hashem bless all the wonderful people that are working with you"
"Thank you so much for all of the help you have provided me and other Olim!" "Keep Olim seems to do what no other grass roots effort has done! Keep up the great work!" "wonderful group ,it's work must continue"
"In honor of Liami and his vision." "Keep up the amazing work!!! :)"
"In the Memory of Harvey & Ruth Siegel Kaila Feldsmen's parents Arnold & Faigie Feldman"
"I am very worried about olims entering the country. They are not secured and you, guys, do a great job every day." "David Schmidt, Isadore & Anya, z.l." "Keep up the great work! You guys are making a real difference in the lives of Olim!" "Shanah Tovah to all members of Keep Olim"
"This donation is in honor of our dedicated group leader of KOIM, Liami Lawrence"
"In the memory of all Am Yisroel that passed away, elevation of their souls, for forgivness all their and our sins and return of all seed of Israel to Eretz Yisroel Hakodesh"
"Thanks you Liami, amazing work and shana tova"
"Double "Chai" for a sweet New Year to all Olim and a Happy Birthday for Liami!" "To my Late Mother who taught me to love God's land and people Israel"
"In loving memory of my dear husband, Simcha haKohen Ben Avraham whose dream was to retire in Israel, and in honor of all five of my children, three of whom made aliyah years ago, served in the IDF, two of whom are raising families and my youngest in IDC L"
"In memory of Milton Strassberg." 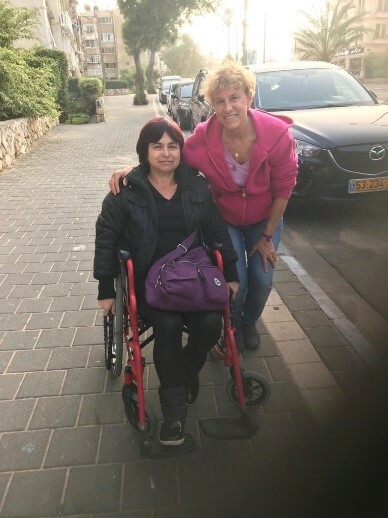 "Thank you so much for everything you are doing for the Olim in Israel - especially with regards to helping us get our driver's licenses!!!!" "On receiving an Israeli drivers license"
"Keep on bringinf the redemption smoothly"
"Thank you for all you do. Wish I had known about this group when I made Aliyah a year ago." "In Memory of Milton Strassberg"
"In memory of our dear friend Milton Strassberg"
"for the aliyat neshama of Liami's father a'h"
"In memory of my beloved cousin, Milton Strassberg"
"You're quite an inspiration for many people, keep up the great work with always helping people as your priority"
"For Donald H. Friedman and Milton Strassberg"
"We strongly believe in the Keep Olim in Israel Movement and grateful for all of the hard work!!" "In memory of Milton Strassberg z"l"
"Lol hakovod. Only go from strength to strength"
"In memory of Milt Strassberg"
"Thank you for this resource...it's hard here...but it's nice to know your not alone and there are"
"great work. keep it up!" "For Brittany & Morgan Cohen. New Olim"
"... part of what I just saved on unnecessary driving lessons"
"In honor of the "chalutzim" who have made aliyah to the North and the South"
"For Brittany & Morgan...two brave young olim..."
"Thanks for everything you do"
"Amazing work with drivers license. Keep up the good work, you are helping many!" "Keep up the good work. Amazing job on the car license!" "Keep up the good work Liami, especially as it gets harder to Keep Olim in Israel...."
"Keep it up Liami and Tzvika! You're making a difference"
"In thanks for my successful surgery and speedy recovery"
"One Oleh Chadash helping another." "I follow Keep Olim In Israel on their FB page and I think theyre fantastic! Kol Hakavod!!" "B"H to Honor that all OLIM should have a HOME for Pesach!" "An honor to support Keep Olim in Israel!" "B'Hatzlachah Rah'bah, Great success to Liami and his Team, Tizke L'Mitzvot, keep up the great work!" "Wishing you continued success in helping Olim." "In honor of Peretz Schrager"
"In Honor of Leslie Strassberg's Birthday"
"FOR MY FAMILY AND OUR GREATER FAMILY, AM YISRAEL CHAI!" "Donation if possible to use for people who lost everything in the fire"
"Thank you KOII for all that you are doing in helping those in need from the recent fires." "Keep up the great work! We made aliyah ourselves in July." "Keep up the great work! Go olim!" "Kol hakavod Liami, Tzvika and all KOIM volunteers. May you be blessed with a happy healthy successful and peaceful new year"
"Keep Up the good work! Good luck on the Project! Thank You for creating this amazing page!" "Keep biolding a stronger IsrEl"
"For the reufah Shleima of Rabbi Shlomo Schwartz aka Schwartzie,the greatest Chabad shliach of all time of LLos Angeles"
"dedicated to Benji, Rachel and Gaby Davis"
"a liltle bit sorry thats what I can for now but I love this page thank you for helping olim"
"Liami, keep it up! this is very needed!" "May KOIIM grow and grow and be the strongest group in Israel for the Olim! Everyone should contribute as well! Just a few bucks each month will help OLIM have a better life in Israel!!!!!" "For my mother, Shirley Bruckner Friedman"
"Donated in honour of Tzvika Granger, with thanks for his help." "in honor of Gary Sugarman-Sagiv"
"In honor of KeepOlim's first birthday! Kol hakavod! Very proud of Liami and everyone else invovled. Yashar Ko'ach!" "Keep up the good work adoni"
"Thanks for helping Israel to be even stronger!" "Hi Liami. Hope this will help, sadly can't donate more. Your Russian Interpriter." "In honor of Tzvika Graiver - thank you for your dedication and commitment to olim. We are forever indebted to you." "I hope others will contribute to this fund so more Jewish people will come to Israel." "To help all who truly desire to make Aliyah, fully attain their dream." "Great idea. Will be glad to help out." "Shabbat Shalom!!! May KOIIM grow and grow and be the strongest group in Israel for the Olim!!!" "May everyone realize their hopes and dreams living in E"Y"
"YHWH are bringing us home. Let us stay together and glorify His Name!" "Way to go! This group rocks and the staff rocks!!!" "thx Liami for your help!" "Happy 68th Yom Haatzmaut to all KOIM board and members." "This organization was introduced to me by my niece Nicole Babila"
"Kol Hakavod to Keep Olim for their quick response to members needs." "Thank you so much for all your efforts!" "Chag Sameach to all the staff on the Board, mainly to Liami! Chag Sameach to all!!!" "Glad to help this cause!" "Well done on the magic benefit"
"Erikasroom Weho will control bye to support this cause." "I hope my donation helps you get to your goal. All the best!" "Liami and the gang.. my hot is doffed to you"
"keep up the good work,we are very proud of you"
"I made aliyah 38 years ago and I am NOT sorry...don't give up!" "I'm so proud to have pushed this campaign to $12,000! I know it's a great cause!" "Thank you for supporting Jews from all over the world!" "This donation is in the honor of an oleh who helped me to get to Terem on shabbat." "Liami & all the volunteers on KOIM - Thank you for everything you are doing for Olim"
"Great cause! I am glad Max is involved with your organization!" "Let's all contribute to help keep olim in israel"
"Thank you for all you are doing to help Olim. Hope to be there myself one day." "Liami you are a great leader!!! Baruch hashem!!" "In this time and space, we need fighters, not lovers. Fighters for a greater tomorrow"
"Your support is invaluable, this is a great initiative - kol hakavod !" "Dear KOIM, To the hope you give many, and to creating a real movement for Olim!" "Keep up the good work Liami! Hope to see you again soon in Israel!" "If there is anything I can do from Melbourne, Australia, please let me know. Muchluvx"
"With much love and support for ALL Olim." "KEEP UP THE [GREAT WORK] LIAMI!" "YOU ARE NOT ALONE. . ."
"Kol hakavod from a native Israeli supporter :)"
"Very important task ! Every ole is important. We can't lose not even one ole." ""May the light of abundance shine upon all those that participate in this noble cause"
"23 years here and its well overdue for me to pay it forward. Good Luck and Gd Bless!" "Liami, You are doing a great job, even as it is challenging." "Glad to support the people who support us!" 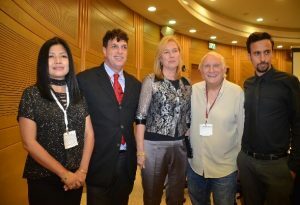 "I do believe in this cause and it will lead to great things for all Olim and Israelis"
"U r doing great work helping to support ISRAEL in its hour-of-need." "I wish each member of KOIM will contribute to this project which I consider "kadosh"." "Good job KOIM! Keep up the good work!" "Thanks for your amazing work to help Olim." "Great work, I hope you can help as many as possible!" "Kol HaKavod to Liami and all the group volunteers striving to make aliya easier"
"With LOVE, PEACE, BLESSINGS and ABUNDANCE for Keep Olim Baruch HaShem"
"Best of luck to Liami and his crew. It's an honorable thing you're doing." "Good luck and keep your heads up! What doesn't kill you, will only make you stronger!" "Let this help. It is for all of us!" "will help any one in my region"
"Well done, proud of you." "Every contribution helps! Keep the momentum going." "Happy to help. Hoping to move back soon ish"
"Proud to be a supporter!" "Thank you for all you do for Olim Liami!" "Thank you for providing this much-needed service!" "Let us just make a little step, others will follow the lead! Don't give up!" "Best wishes to the organizers. Thank you for promoting positive attitude among Olim." "Good Luck. I hope everyone will follow through." "Israel needs its Olim and as Jews, we all need Israel. Keep up the great work!" "Liami is doing the best thing for Olim in Israel. MomentumIsrael stands by him %200"
"It is of utmost importance to keep olim in Israel,and to have happy citizens." "I think what you are doing is very commendable. Keep up the good work!" "The Dunbar Family: Tamar,John & Max"
"Good luck to all Olim and to my son Max Tylim." "Every little helps. From strength to strength." "May my humble donation help the cause of keeping Olim in Israel and helping them!" "Kol Hakavod to LiAmi and all of the Oleem hadashim in Israel. We love you!" "Liami You are doing an amazing job. I wish you all the success." "I hope my contribution will help to get the services started & help this organization"
"I declare my full support to the founders of this group. I invite everyone to donate!" "A critically needed organization already giving meaningful help to new olim. DONATE!" "This is a great site and resource for Olim. We are all in this together." "Liami. Best wishes to you and the team for a great 2016. Keep up the essential work." "Thank you for your great work. I wish you'd started a few months earlier! :0"
"I am proud to be part of this incredible innitative! Liami is doing amazing work!" "Kol HaKavod! Am Yisrael Chai!" "Keep up the good work, happy to do my share to help. If everyone gives a little, it'll be a great starting point." "May KeepOlim keep on keeping Olim in Israel!" "Thank you for the great Idea and hard work! Am Israel Chai!" "Good luck and keep up the hard work!" "Having done an Aliya 25 years ago, I definitely remember the hardships of absorption in a new country, and the feeing of being all by yourself in a new place which is very different from your previous home. Helping newcomers getting by and making them fee"
"Big or small.... Donations are the lifeblood of a nonprofit, especially at the beginning. Give a little, you can get a lot." "I am happy to give support for a better life in Israel for Olims." "If anyone can make this a success, it's you LiAmi"
"We pay much more in Taxes but am sure They will do much more for Olim..."
"Olim are the roots of israel! With out no roots we won't have Israel!!! Big toda to my attorney Tzvika Graiver for creating this important organization that help olim to stay in Israel!" "A wonderful place providing instant friends, advice, and support to olim in Israel"
"Wishing Liami and all of KEEP OLIM lots of Hatzlacha!" "Kol Hakavod!Good luck!I hope everybody will understand how important this mission is." "Olim are the best people we have in Israel! Let's keep them with us in Israel!" Guy Gottlieb loves KEEP OLIM !! "How many likes do I get within 24 hours? ? Yalla DONATE!!" "Liami, I'm so proud of what you're doing to help olim live the dream!" The purpose of KeepOlim is to empower, inspire, and support Olim (new immigrants to Israel and returning citizens) through post-Aliyah programs and services. We foster a strong sense of community and advocate for Olim to successfully integrate into Israeli society during life after Aliyah.KeepOlim (RA 580613610) is a registered non-profit organization, authorized by the Israeli Corporations Authority. Your name will be added to our Donor Wall of KeepOlim's website. (Chai) Your name will be added to our Patron Club on the Donor Wall of KeepOlim's website. (2x Chai) Your name will be added to our Bronze Club on the Donor Wall of KeepOlim's website. Your name will be added to our Century Club on the Donor Wall of KeepOlim's website. Your name will be added to our Silver Club on the Donor Wall of KeepOlim's website. Your name will be added to our Gold Club on the Donor Wall of KeepOlim's website. In addition, you will receive a beautiful personalized official certificate. Your name will be added to our Fortune 500 Club on the Donor Wall of KeepOlim's website. In addition, you will receive a beautiful personalized official certificate. Your name will be added to our 1K Club on the Donor Wall of KeepOlim's website. You will receive a beautiful personalized official certificate. In addition, you will receive a personal phone call from LiAmi Lawrence. (100x Chai) Your name will be added to our Platinum Club on the Donor Wall of KeepOlim's website. You will receive a beautiful personalized official certificate. In addition, you will receive a personal phone call from LiAmi Lawrence. (200x Chai) Your name will be added to our Diamond Club on the Donor Wall of KeepOlim's website. You will receive a beautiful personalized official certificate. You will receive a personal phone call from LiAmi. You will be invited for a personal meeting with the Keep Olim Board when you are in Israel. In addition, you will receive a Business Banner on our website at keepolim.org. Your name will be added to our exclusive President Club on the Donor Wall of KeepOlim's website. You will receive a beautiful personalized official certificate. You will receive a personal phone call from LiAmi. You will be invited for a personal meeting with the KeepOlim Board when you are in Israel. You will receive a Business Banner on our website at keepolim.org. In addition, we will name a program of your choice in your honor or the honor of a loved one (assuming the program name hasn't already been claimed by another generous donor). Your name will be added to our exclusive King David Club on the Donor Wall of KeepOlim's website. You will receive a beautiful personalized official certificate. You will receive a personal phone call from LiAmi. You will be invited for a personal meeting with the Keep Olim Board when you are in Israel. You will receive a Business Banner on our website at keepolim.org. We will name a program of your choice in your honor or the honor of a loved one (assuming the program name hasn't already been claimed by another generous donor). In addition, you will receive 2 ROUND-TRIP TICKETS TO ISRAEL and will have a personal meeting with the KeepOlim Board during your trip.